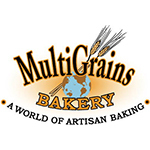 Multigrains Bakery | Favorite Foods, Inc.
MultiGrains Bakery is a True Artisan Bread Baking Company that has built its business on the art of baking bread and believes in the philosophy that there is no substitute for quality in our products or excellence in our customer support. Our team of passionate baking professionals enjoy the art of baking great breads and our on-staff bread designers, production team members and consultants have over 100 years of combined baking industry experience. Located in Lawrence MA, MultiGrains Bakery produces signature breads for some of the most popular restaurants throughout the U.S., along with great items for in-store bakeries up and down the east coast. Proprietary items are our specialty.